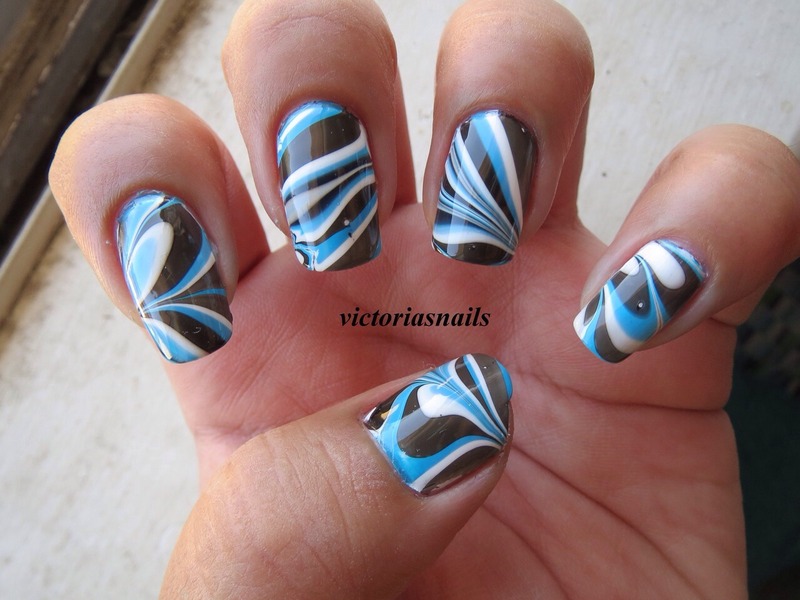 Nails Marble Effect they are of extreme elegance and some time fell on the taste of women. 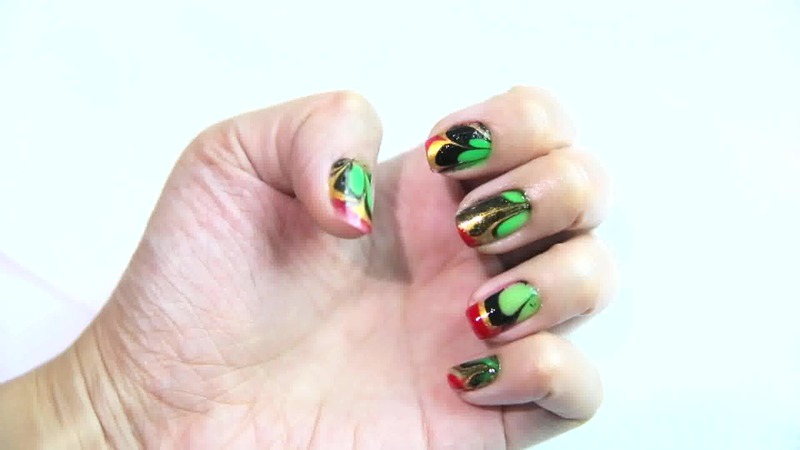 It is very simple to do and can be done at home without any major problems and so will your hands with a different reason that combine with your look for the weekend. 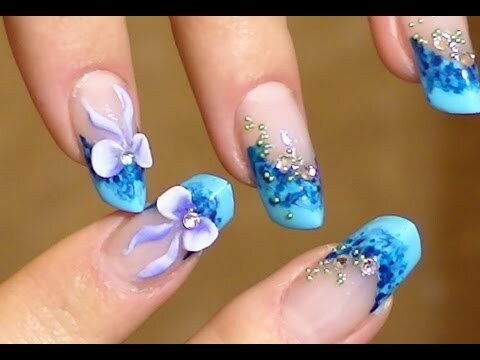 Is necessary in every technique of nails decorated before you start the process with the nails well sanded and prepared with the cuticles moisturized and made. In this way the final effect will always be more perfect. 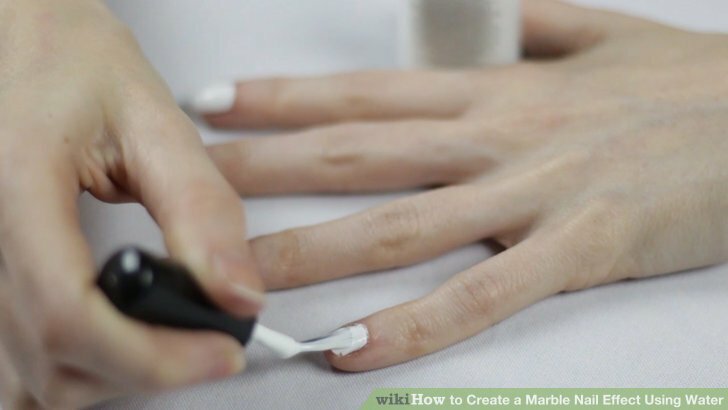 Then choose a white enamel or any neutral color to be the base of the nail. 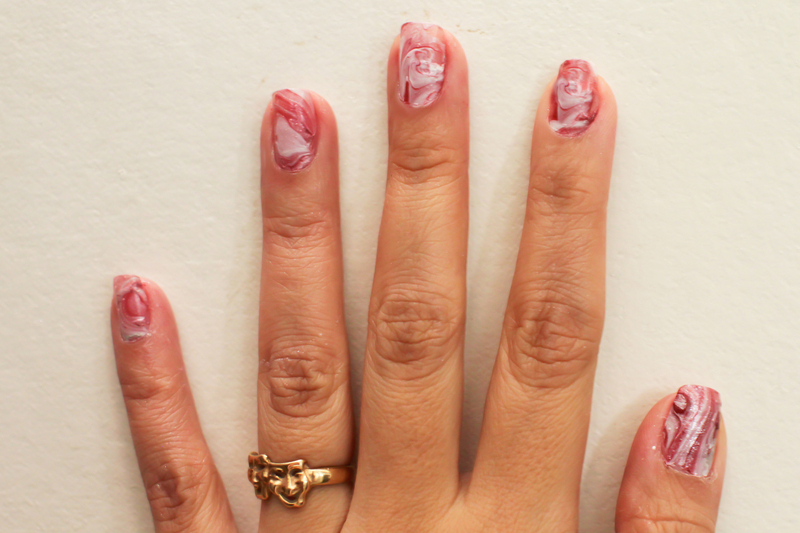 – adhesive tape to protect the finger painting. Can use various shades, as long as you don’t get too bulky, because that will mix well with water. Try combining them in the same style, whether it is crayons, metallic, clear, etc. This way designs will be bicolored, tricolor or as desired, just use your creativity. 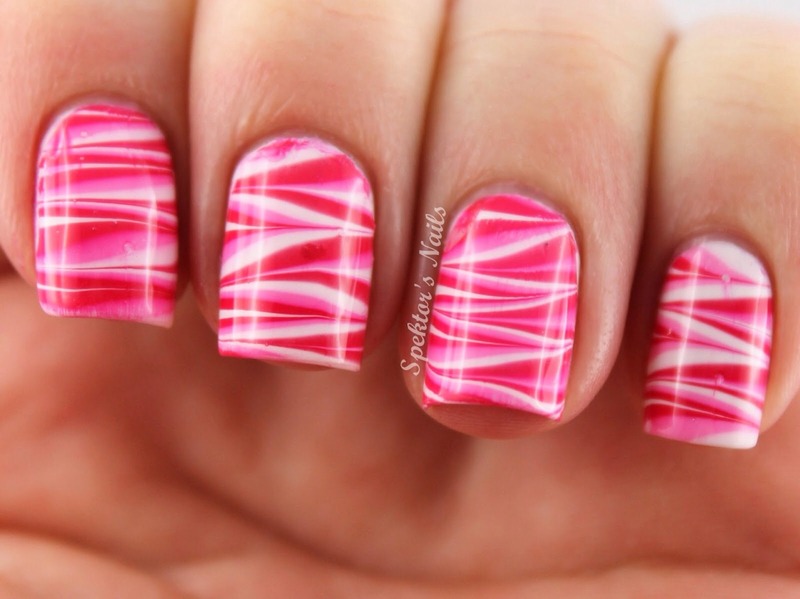 -First cover the nail so that the color won’t stain the entire finger. To do this use a duct tape covering everywhere, up and down. 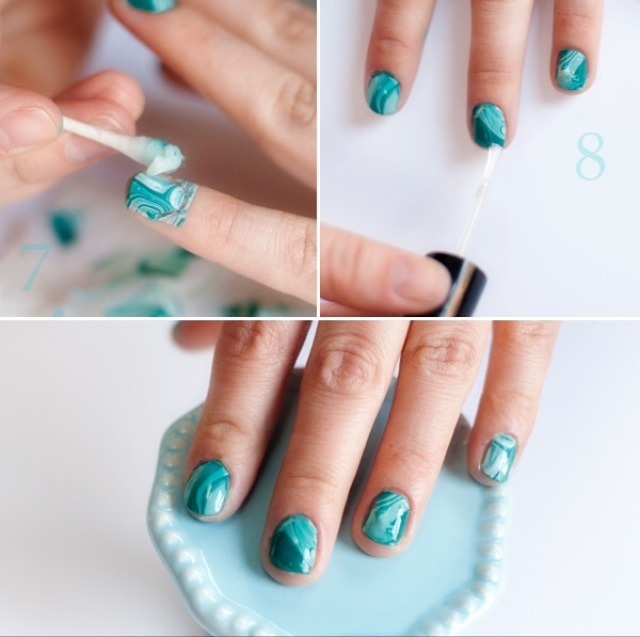 – choose the shades of Nail Polish you want to combine. – Start put the drop of one color in the center of the water and then another drop of another color this drop and so on with all the tones. Gradually, the color spreads giving and the other place. -glazes are greasy and therefore don’t mix with water or with each other, if you don’t move much. – So that the design and the colors in the water be ready pass pass protected nail. 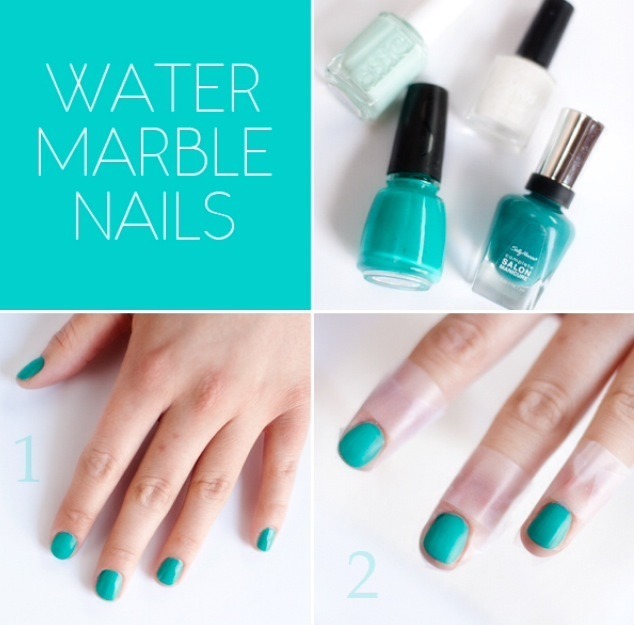 – let in water for a few seconds and using a toothpick, remove the remnants of color that doesn’t want to stay glued to the finger. Using the stick is very important because it helps remove excess glaze in water and also to make the drawings. If we put in the water and move it, the colors start to move and take new forms. 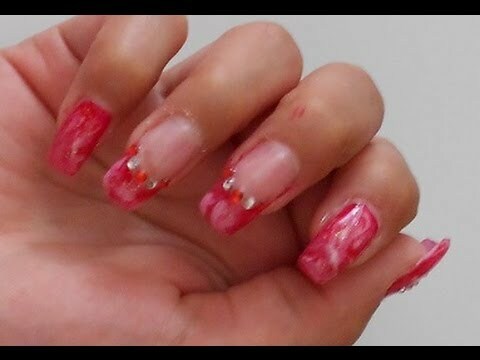 Below share video of marble nails with Pina Brandi.